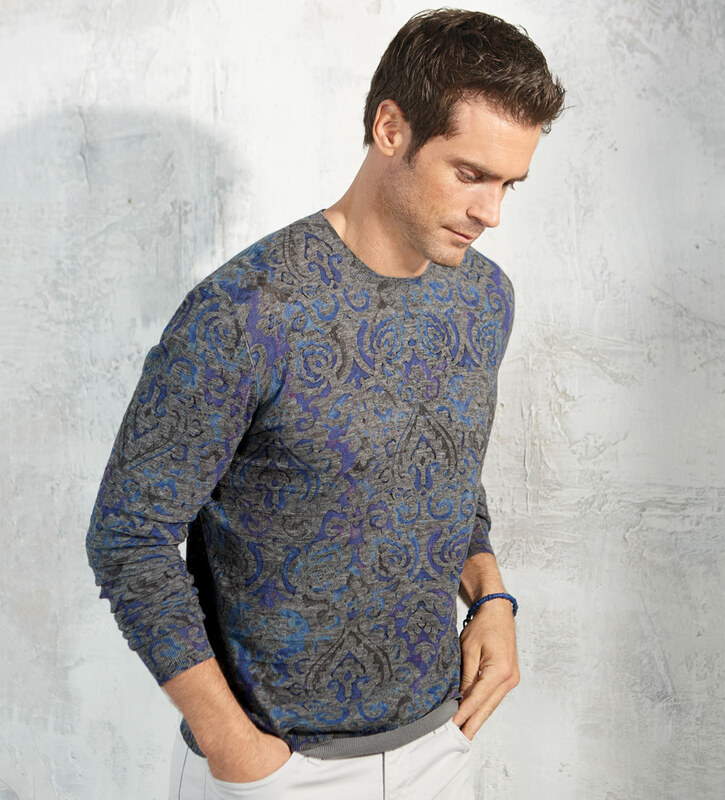 Opulent print on a lightweight, linen-rich jacquard. Classic fit, long sleeves, contrast print trim, ribbed crew neck, cuffs and waist. 55% linen/45% cotton. Machine wash. Imported.